to all students who did a great job this quarter in music! 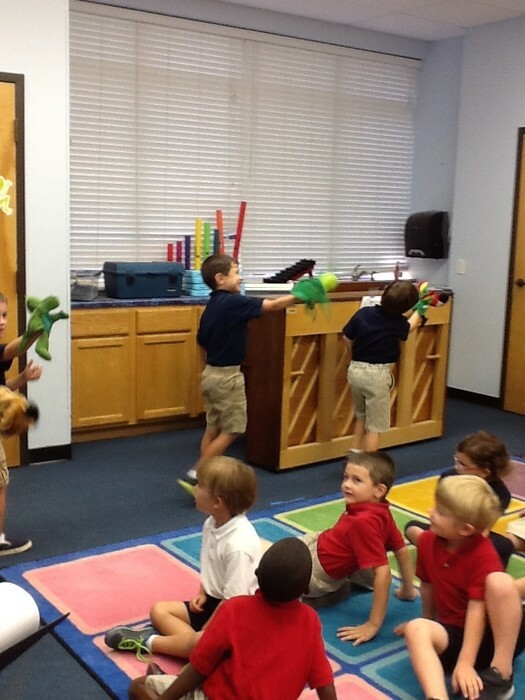 I am looking forward to the exciting musical adventures we will have during 2nd quarter. 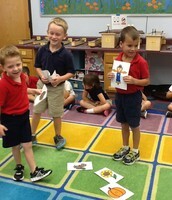 Each week, students participate in SQUILT. It stands for Super Quiet UnInterrupted Listening Time. 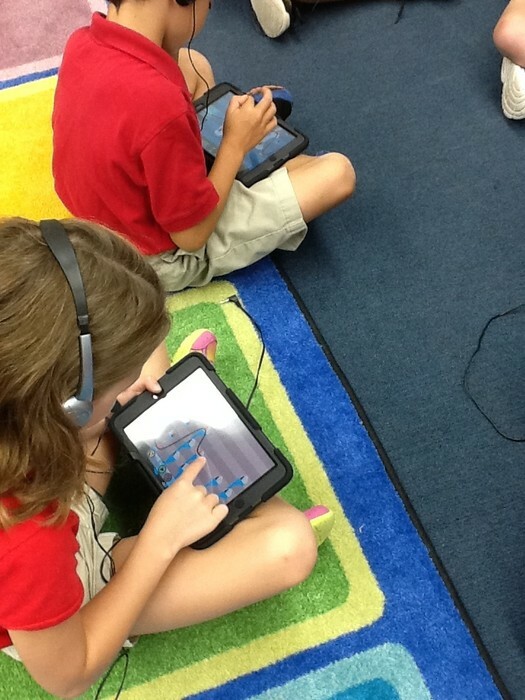 A piece of music will be played while students close their eyes and imagine a story that might accompany what they're hearing. 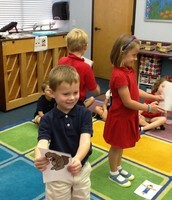 Each week, the SQUILT music will be posted on my website to share at home! 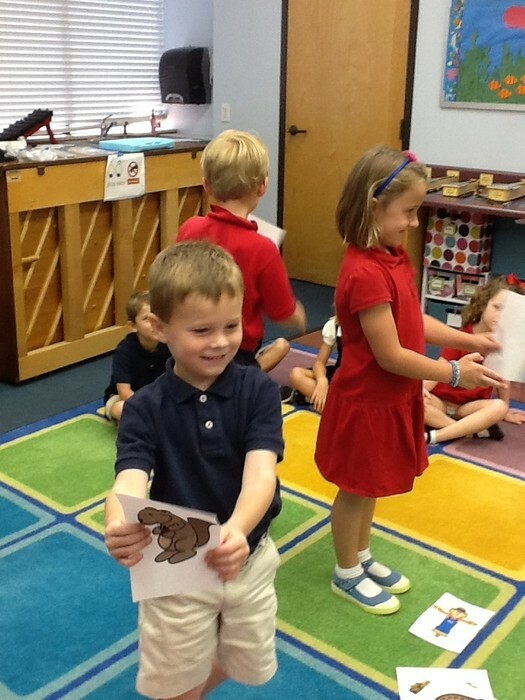 This past week's SQUILT was Jupiter by Gustav Holst. 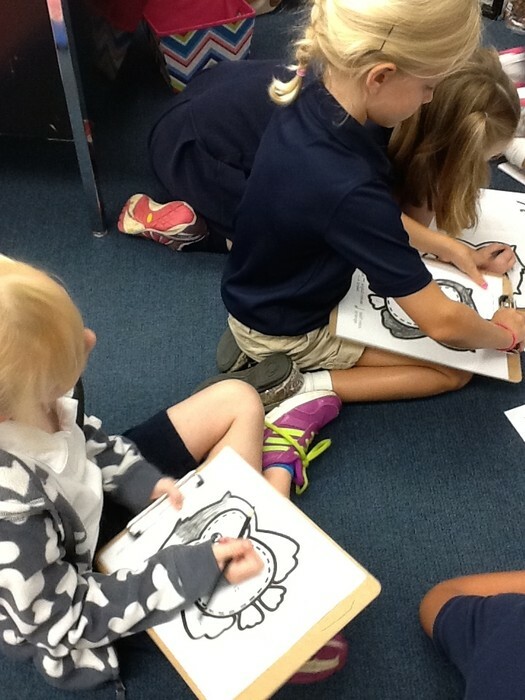 We learned all about the upcoming season, Fall! 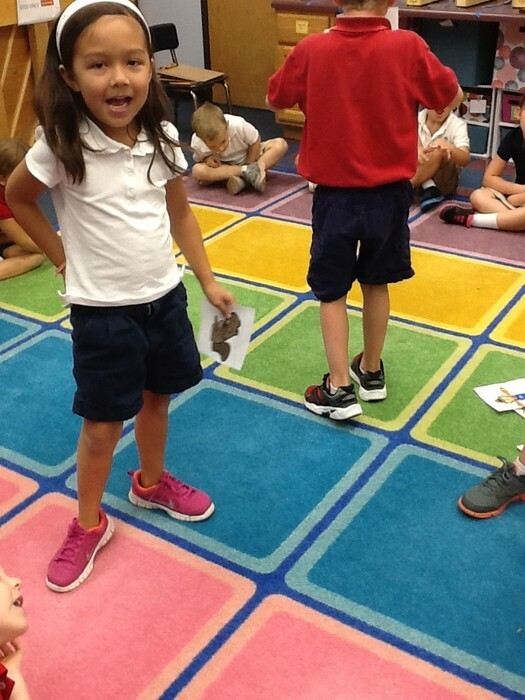 I read a book called Autumn Days and we discovered that during fall, the leaves change color, animals store food for the winter, and the days get shorter and cooler. 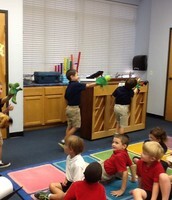 Then we learned a song about fall. 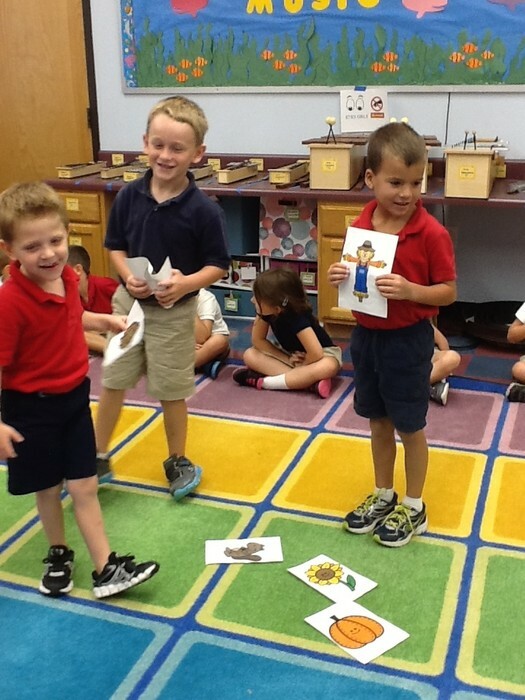 During our circle time, each student picked a fall object and sang a short line about it. 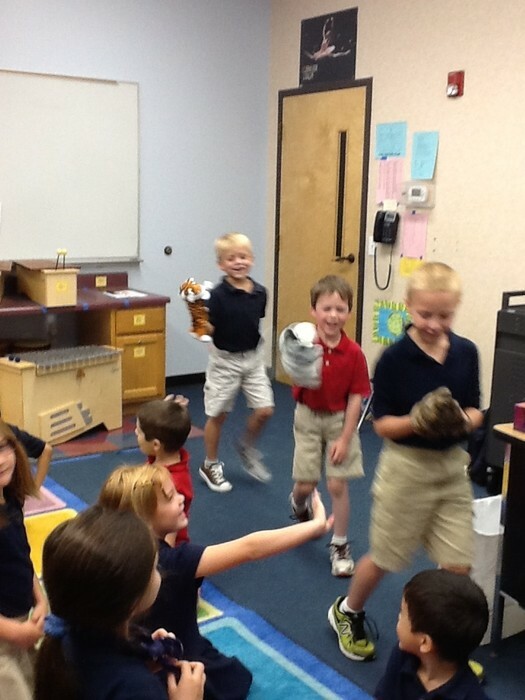 We learned a fun song called The Animal Parade. 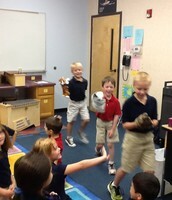 Each student came up to the front of the room and picked their own animal puppet to be in the parade. 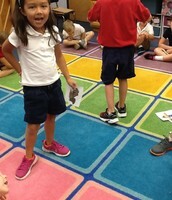 The students introduced themselves as their animal. All other students sang and welcomed the animal to the parade. Once four animals joined the parade, they marched around the carpet to a fanfare for all to see! 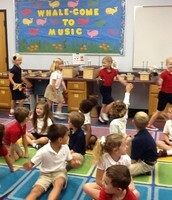 Students participated in 4 musical centers. 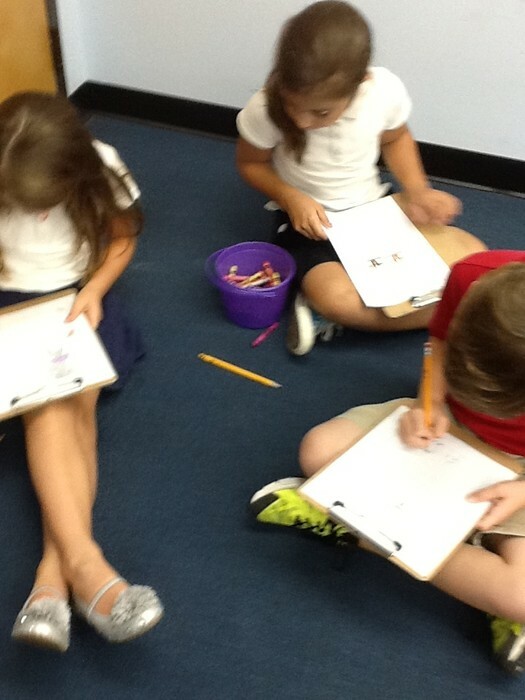 Students spent about 6-7 minutes of class time in each center. The first one was a rhythm composition center. 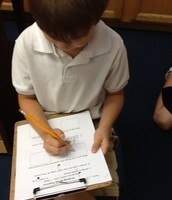 First, students practiced writing music notes and then they composed a 4 beat rhythm pattern. The second center was an iPad center. 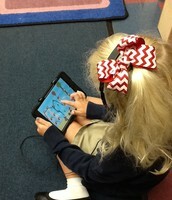 Students used the app TuneTrain to compose melodies. 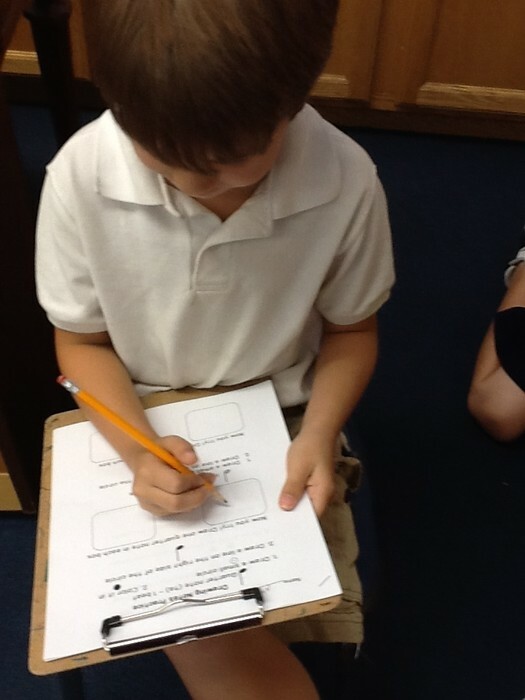 Students guided the train to different "train stops." The higher the stop, the higher the note! The third center was a color by note coloring contest. Color by Note is a musical spin on the popular color by number. 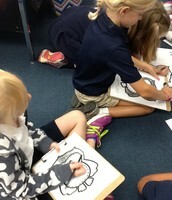 Students used a key that contained quarter, eighth, and half notes to color in an owl. The last center was a Draw What You Hear center. 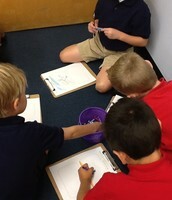 Students listened to two pieces of music and drew what they imagined in their heads. 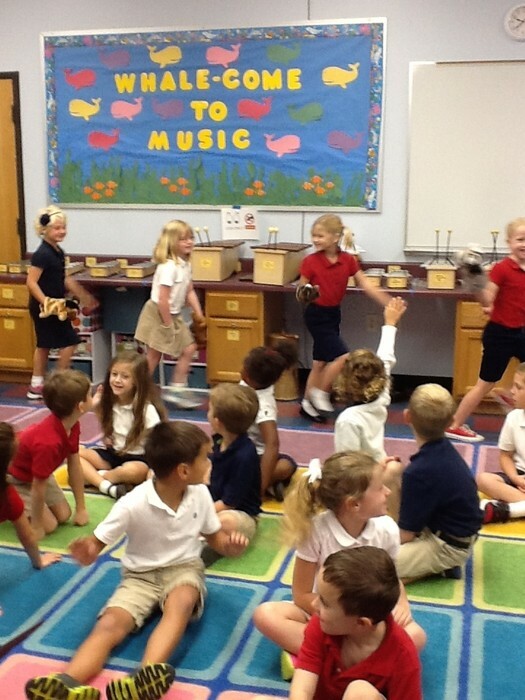 In 1st and 2nd grade, we learned about the music recording industry. 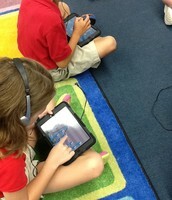 Students then had the opportunity to be "recording artists" and "sound engineers" through the iPad app, VidRhythm. 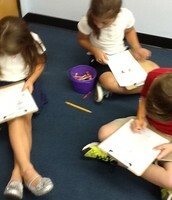 Students were put into groups and each student had a turn at recording another student saying or singing a word. 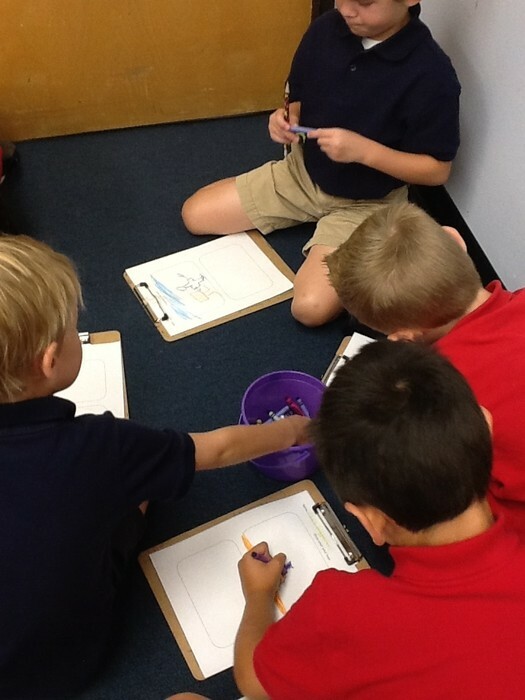 Groups started with making a "Dogs!" video and some had time to make an "I am a Robot" video. Videos of groups who had photo/video release for all members were placed in their homeroom teacher's Google Drive folder under Music Projects. Check below for two examples! 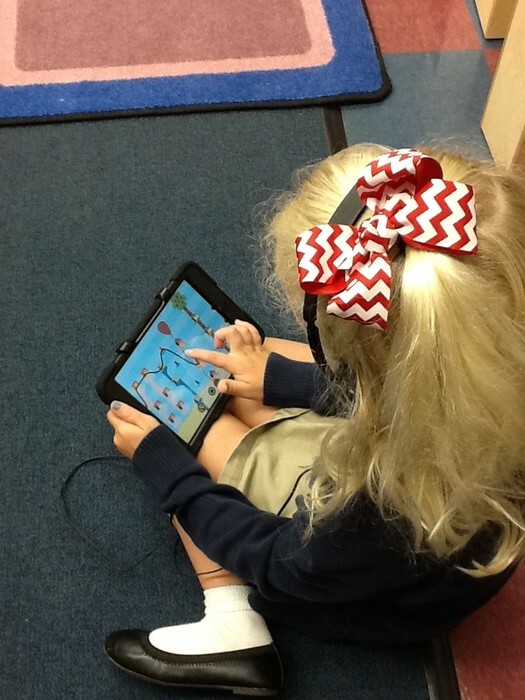 ****DISCLAIMER****: If you would like to download this app for your child, there are many song options. One is titled "Bootyshake." Students did not have access to this song at any point during the lesson. When students finished recording, I set up the new song recording screen for them. Have a wonderful, safe, and fun track out!